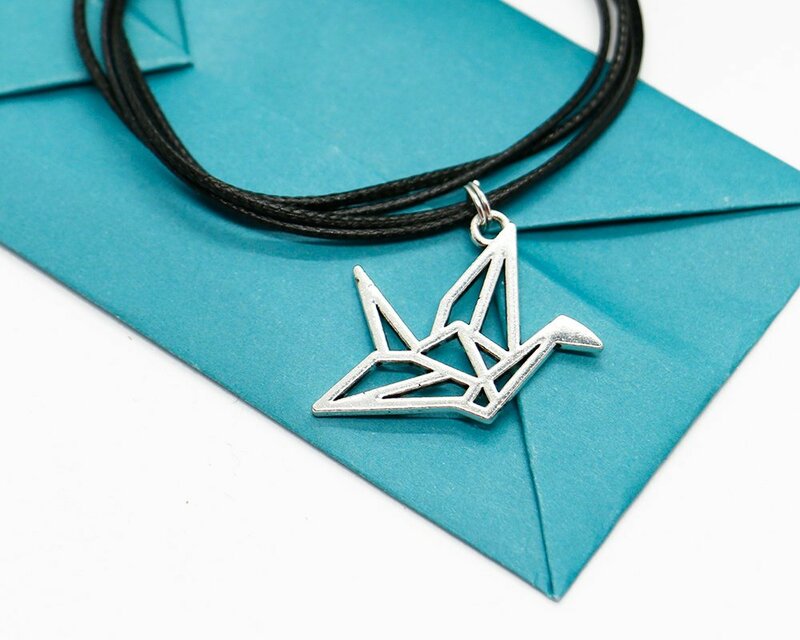 Origami Crane necklace, beautifully gift wrapped in an origami envelope. 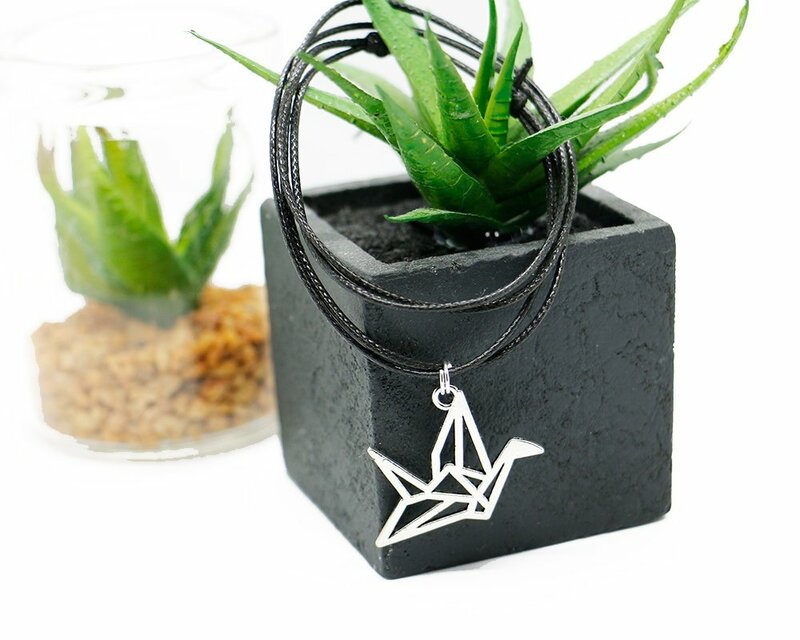 This delicate handmade adjustable cord choker is made from 1mm waxed polyester cord (More hard wearing than cotton cord), featuring a silver plated origami crane pendant and has 2 sliding knots to adjust the size. 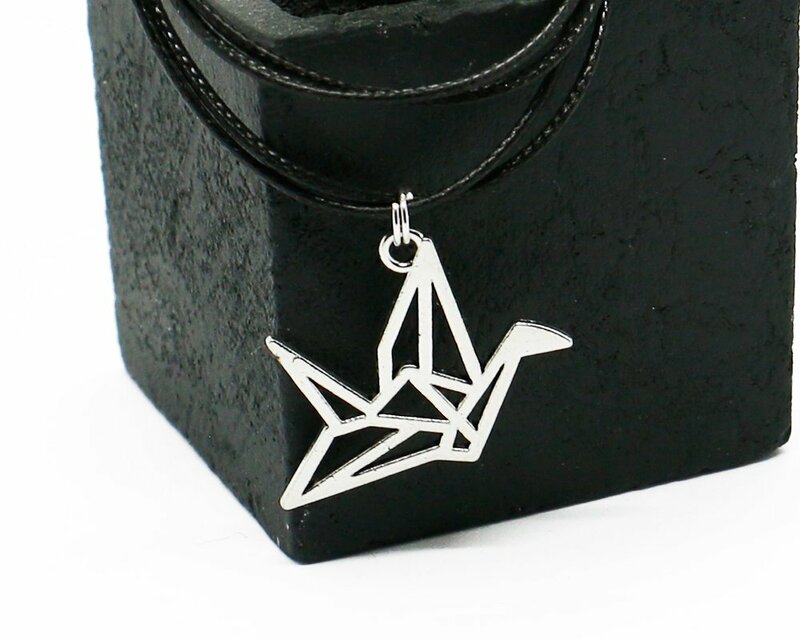 In Japanese culture the crane represents good fortune and longevity, making these the perfect good luck present. 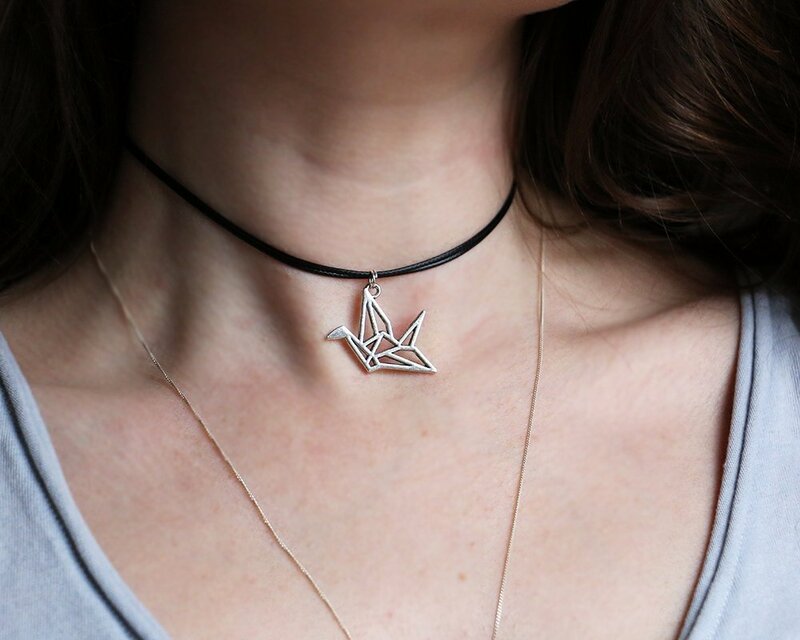 The choker adjusts from 12" – 23" so can be worn as a longer necklace if desired. – To make the choker bigger move the knots towards the charm. 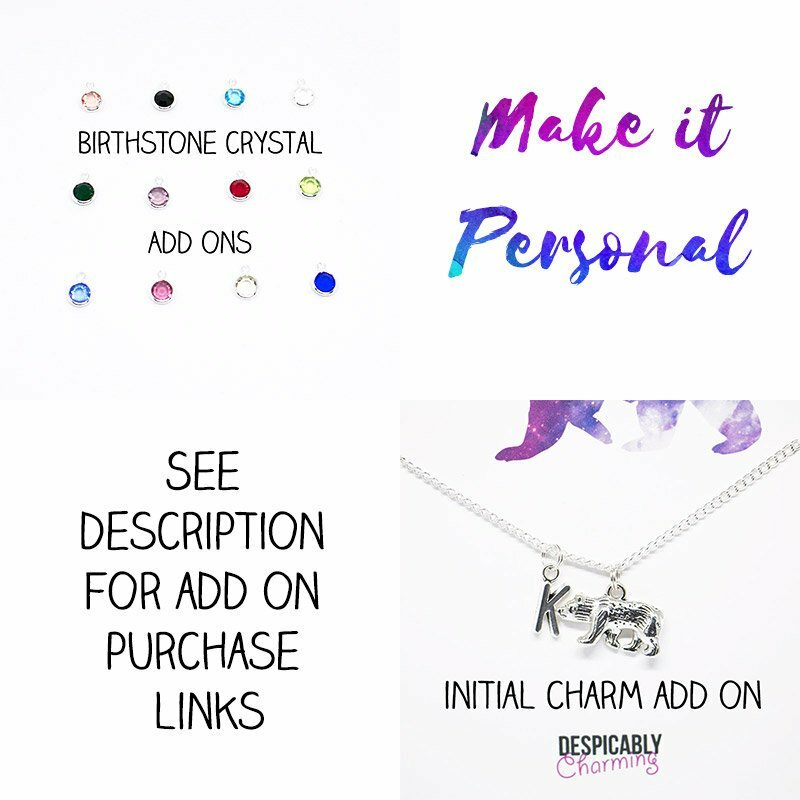 – To make the choker smaller move the knots away from the charm. * It is sometimes easier to move one knot at a time along the cord. Holding one knot, you will find that you can pull on of the two cords that sit between the knots. 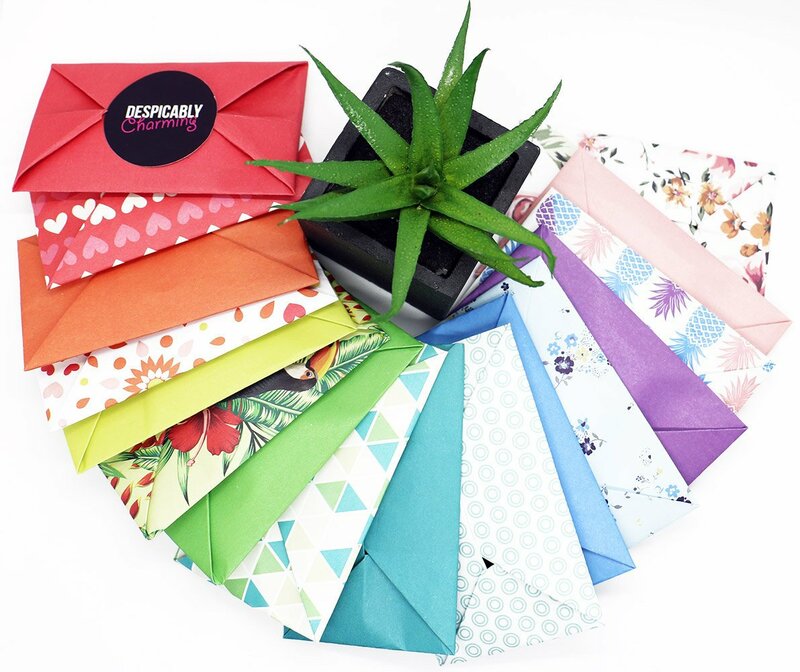 Pull it to the desired length and then repeat on the other side.